Day 4 of our Hawaii trip was probably the most relaxing day. we woke up, had breakfast and as the bride’s request, we drove her around to the wedding venue to ease her from her anxieties. Jamba Juicing while waiting for the bride to be ready. We originally thought we would be driving her right after breakfast but it turns out that we had to wait several hours before she was ready to go. Which honestly wasn’t a problem because both arthur and I were pretty tired by day 4 and needed some rest. 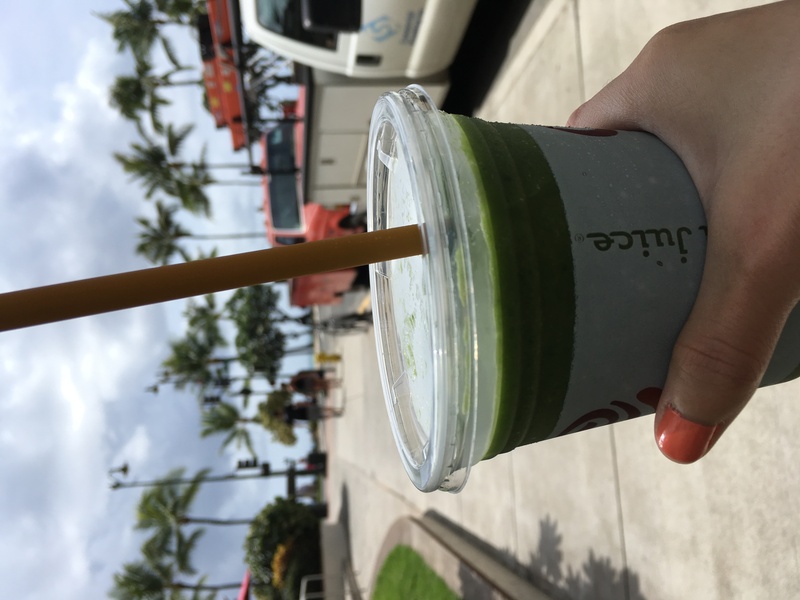 We watched a couple episodes of Arrow on the hotel TV before deciding to go out to grab some Jumba juice. When the bride messaged us that she was ready, we called our car out from valet and had to drive around in circles several times before finding her because she went to the wrong Hyatt hotel. After checking out the venue, we returned to the hotel. Several family members were hungry by then and wanted to grab some food. 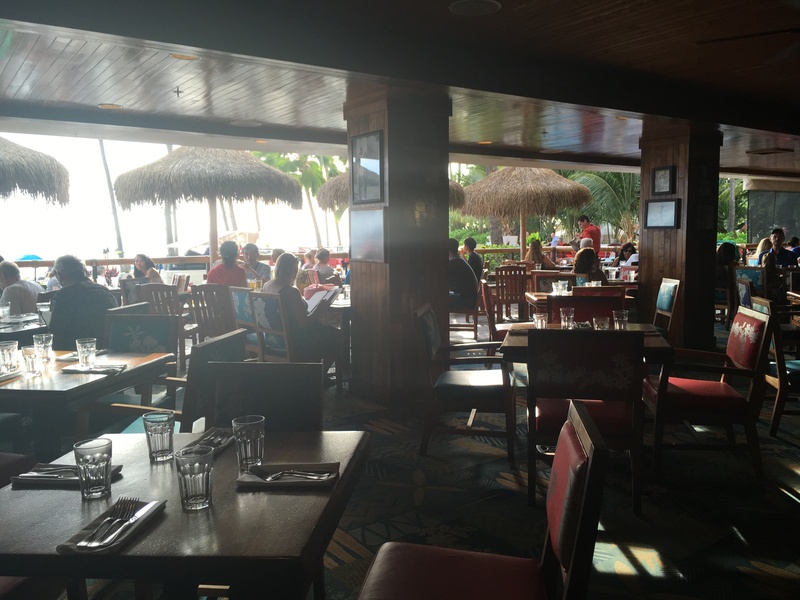 We all walked about 15 minutes to go to a Hawaiian cuisine restaurant called Dukes. My order of Fish sandwich. It was pretty good. We were a party of 15 at Duke’s. And luckily enough we didn’t have to wait because uncle 8fu called in and let them know before we head to the restaurant. Several of the 21 plus cousins had some interesting alcoholic drinks like the Tropical Itch that came with a back scratcher. It was a fun dining time with the family. After the lunner/dunch we head over to the International Market Place which was right across the street. 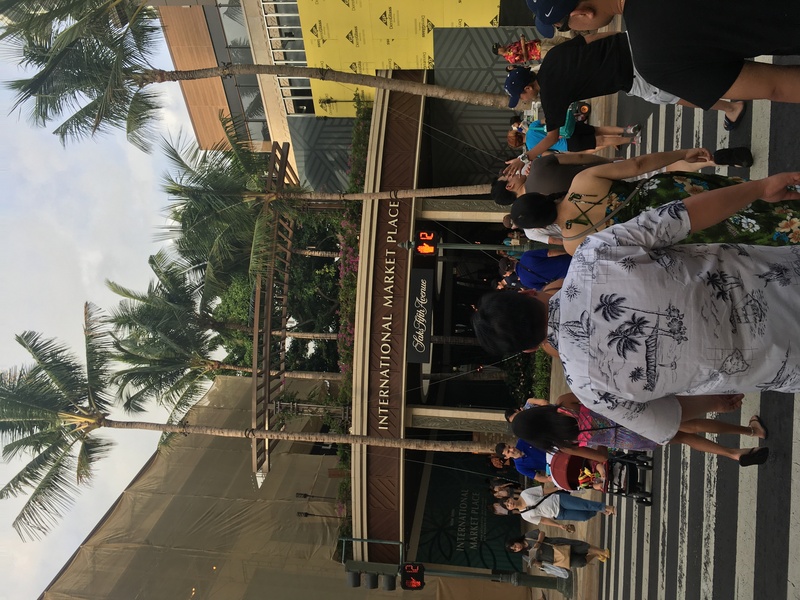 Apparently the international Market Place just opened around a month ago. The inside part of the all was amazing. It had a pond and a waterfall inside. It even had live music when we went in. Since the mall is fairly new, many of the shops aren’t open yet, the mall was still pretty enjoyable regardless. Several family members pitch in the buy a cute wedding gift from Swarovski for the bride and the groom. It was a teddy bear couple dressed in wedding attired. I wished I took a picture of it because it was really cute. 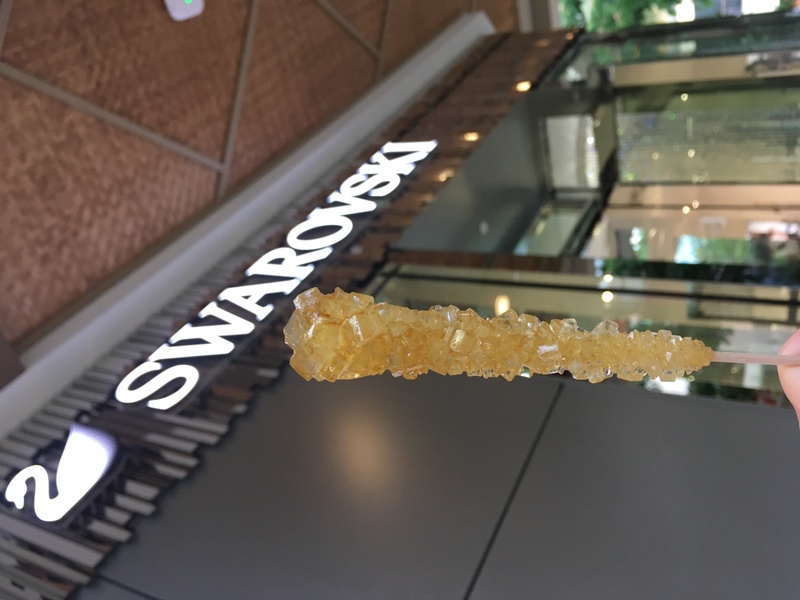 It was pretty cool the the shop had complimentary rock candy, in which all the kids grabbed. Haha. I didn’t really finish mine but free stuff is always nice. 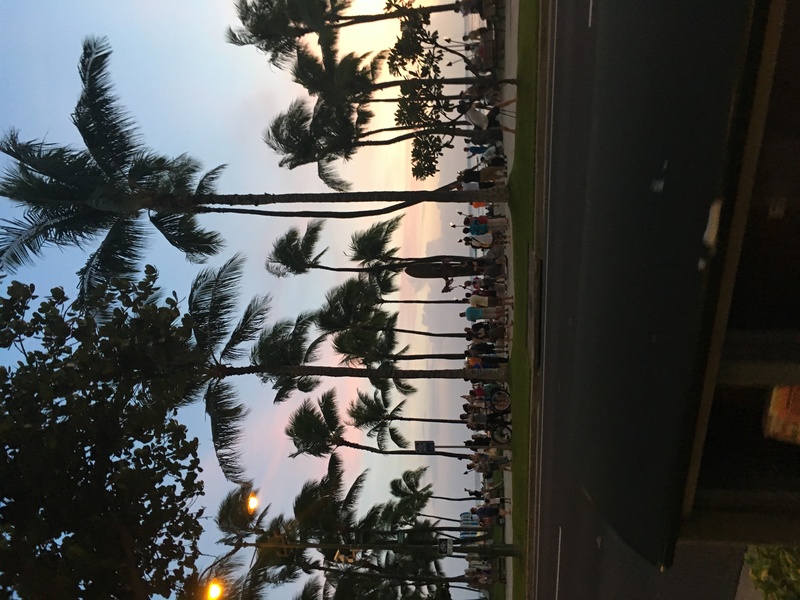 The walk back to the hotel was a nice view of the sunset at Waikiki Beach.We originally planned on having a late night dinner with 4ii’s family I think everyone was pretty tired by then and we didn’t end up having the late night dinner. Day four was overall very relaxing and a enjoyable time with the family.